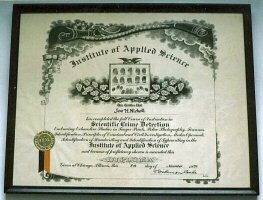 In 1972 I received a diploma in "Scientific Crime Detection" (with studies in fingerprinting, handwriting, and other subjects). 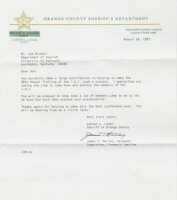 I have received additional training at forensic conferences (where I have been invited to speak), and through tours of crime laboratories with occasional hands-on-study. I am co-author (with forensic analyst John F. Fischer) of Crime Science: Methods of Forensic Detection (1999).